Channeling Kendall Jenner & wearing a few pieces that she has been spotted in repeatedly today (Stan Smiths, fur & leather pants to be exact). Truly, this girl has the best street style & Kardashian's aside, has really made a name for herself as a model. #GirlBoss. I love Kendall's effortless street style looks & the way she mixes textures & styles like luxe fur with casual sneakers or edgy leather pants with a casual tee. I kept my look neutral colored a la Kendall Jenner and love how this off duty look turned out. With the weather being so cold right now (seriously, the low this weekend was 2 degrees! ), it is impossible to step foot outside without a coat but I am getting a bit bored of my North Face (styled here) so I added my fur coats into rotation (I also own this one). They are definitely not as warm as my down coat, but I think they look awesome, so I went for it. Style Tip: When wearing a teddy bear coat is to keep the rest of your look simple. Neutral colors & simple shapes allow the coat to really make a statement. I am shocked that I have not been styling my Stan Smith sneakers more often on my blog! I wear them a couple times a week because they are so comfortable & I love the classic, crisp white color of them. Adidas recently came out with a bunch of twists on their classic Super Star & Stan Smith styles. From color pops to metal cap toes, I am thinking I need a second pair of Adidas sneakers for spring. Also be sure to check out some of the AMAZING President's Day sales happening today! We are so excited to welcome back Jordan from The Hat Logic as this week's Start The Week Stylish link up co-host. You may remember Jordan from the fur themed link up. Well, she is back as a co-host this week to show off her outerwear look. Stop by her blog this week and say hello! 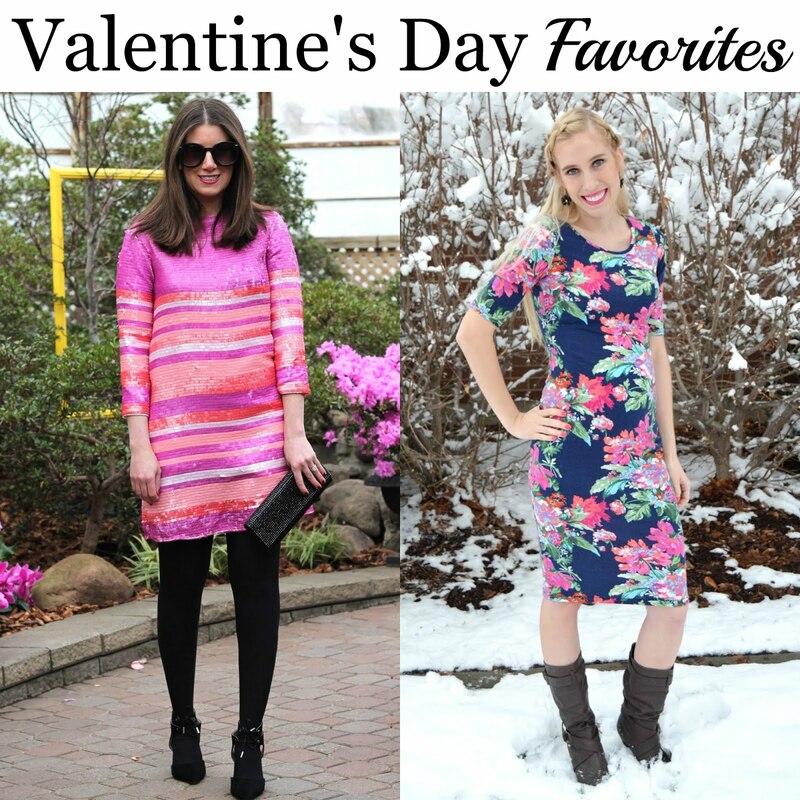 We loved Samantha from Gold Coast Girl & Rachel from Simply Rachel Nicole's Valentine's Day looks last week. I just love this cozy coat and I agree that you need to keep the rest of the look simple when you wear a cool piece like this one! Love your selection of sneakers too. Yes - this coat didn't need much, I might have even been better off with all black! Your coat is darling and looks so warm and cozy! I also love those Adidas sneakers! Ugh, it's a love/hate relationship with the Kardashian's, that's for sure, but I definitely can't deny that Kendall is one stylish girl who definitely built a career of her own. 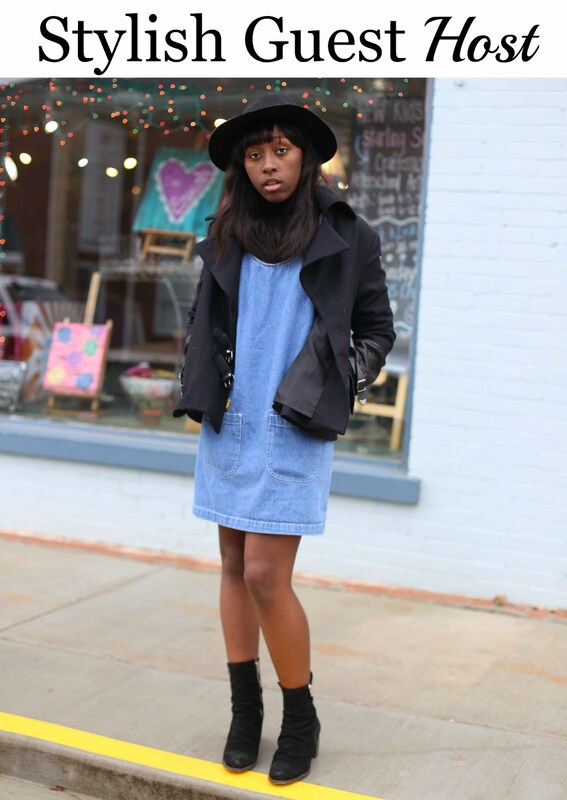 Love this coat and tennis shoe combo! I couldn;t agree more! Sometimes I can't stand their drama, but also can't look away! I am so smitten with Kendall's street style too and you are so channeling hers right now with this lovely and cozy teddy! Have a lovely week ahead! They sure are! I love how fun they make a basic outfit also! Yes! Such a cool outfit. Loving the leather look pants with the sneakers and coat. Love this! Totally something I would wear! Casual and still so chic! That coat is beyond fabulous...I love it! I know! Faux fur ended up being way more versatile than I expected! I love your coat! You always have the cutest style! :) So glad you loved my look last week! Thanks for always having such an awesome link up! Thanks so much for linking up! We loved your pretty floral dress! Love the outfit you put together! That coat looks so cozy, especially for 2°, yikes that's cold! omgosh! It was SO cold! I stayed inside as much as possible this weekend. What a cute, cozy coat! Loving the contrast between the sneakers and the coat! That coat looks so cozy, I would not want to take it off! Not to mention the fact that you look absolutely adorable! It was certainly cozy! I just wish it was a little thicker! Obsessed with that jacket!!! Also loving the adidas trend, I need to get some! I haven't been keeping up with Kendall's style, but I can say that you're rocking this look from head to toe. What an amazing coat! Thank you for hosting and hope you are having a fab week! That is the prettiest coat! It looks so soft! Oh my goodness, what an adorable comfy coat! It really dresses up your sporty look, too! Totally - this jacket makes every outfit glam! Love this comfy, warm chic coat! Perfect with the Adidas. Fabulous!! This looks so pretty and stylish!! Your coat looks so cozy, and I'm loving it paired with the leather pants and sneakers. So chic, yet down to easy! Perfect coat! look so warm and cozy! That coat is adorable! I love the paired leather pants with it too. Cute look! I admit Kendall Jenner is one of my fave girls to watch right now too! I love how you styled this look - so chic and casual. I've been coveting a pair of Stan Smith's as well, but just can't pull the trigger - they look amazing on you - def swaying me more! LOVE this so much babe! This coat is so cozy! Such a cute jacket, I love that you paired it with leather pants. I don't really follow Kendall style but from what I've seen she surely knows how to put things together. I do love how you combined the rich fur coat with black pants and effortlessly paired it with runners. Personally I'm more of a Kourtney and Kylie fan when it comes to style but I can see where you're going with this :) I love the contrast between the OTT coat and the sleek everything else, very cool. I can totally see their influence in your style! Each sister is so unique in their looks!